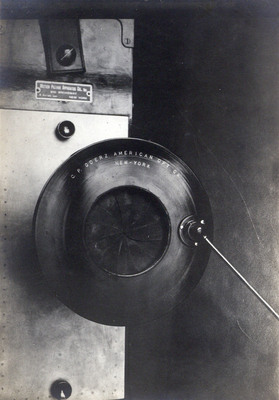 Fading device on lens (C. P. Goerz American Optical, New York), ca. 1915. Camera has “Motion Picture Apparatus Co. Inc. – 810 Broadway, New York” label. Vintage.